This is my fourth detailed guide to common running injuries. In the first three blog posts, I covered runners knee and ITBS and ankle sprains, and today I am sharing with you, dear readers, my complete guide to the common condition known as shin splints. Shin splints are some of the most common running injuries of all times. 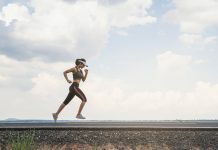 I have had it in the past, multiple times, and I haven’t yet come across a runner who didn’t suffer through it at some point in their running career. Obviously, shin splints are more widespread among runners, especially beginners, and long-distance runners. Not only that, shin splints are also pretty common among dancers, gymnasts and military recruits, according to the National Institute of Health. Good news is shin splints are both curable and preventable. Inside of this blog post, you will learn all there is to know about shin splints warning signs, symptoms, the best treatment plan and the ideal prevention measures so you can ward off shin splints for the rest of your running life. Shin splints are the “all–catch” term commonly used to describe a wide range of lower-leg injuries and lower leg exercise-induced pain. 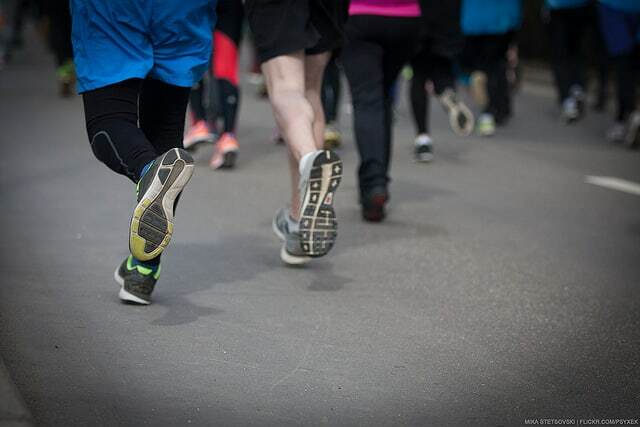 But in the running world, shin splints injury usually describe the medical condition known as medial tibial stress syndrome, or MTSS for short. Shin splints, or MTSS, is pain that’s felt along the inner edge the tibia—the shin bone, which is the large bone in the front of the lower leg (see picture). In most cases, shin splints occur as a direct result of the repeated impact to the bone tissue, tendons, and muscles surrounding the tibia, leading to inflammation of the connective tissue—what’s known as fascia—that covers and joins the muscles of the lower leg to the shin bone. According to survey, shin splints account for 10 percent of injuries in male runners and roughly 16 percent in female runners. 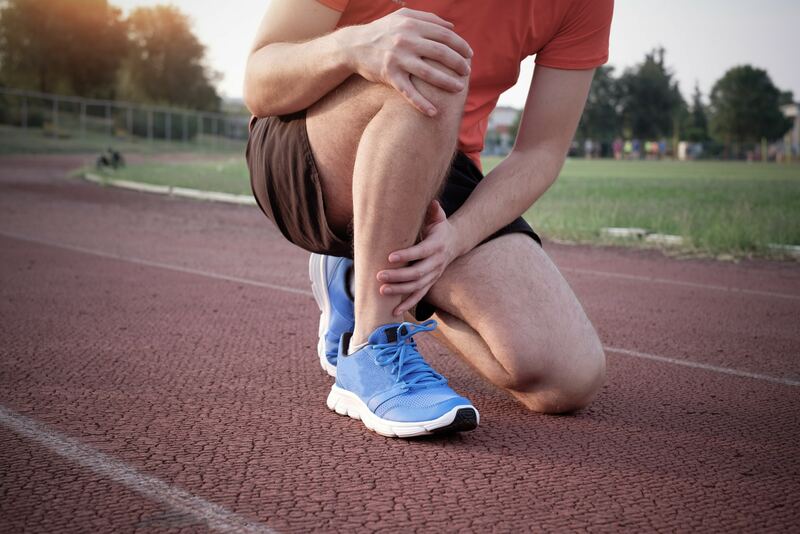 The good news is that shin splints are not a serious injury and can be treated with simple measures—provided that you pay heed to the condition early on before it gets any worse. What’s more? There are also a few things you can do to guard your lower legs against this condition, helping you prevent it for the long term. The main symptom of shin splints is a dull, or aching pain in the front of the shins, usually felt in an area measuring roughly 5 inches in length on either side of the shinbone or in the muscles surrounding it. The pain may radiate up from the tops of the feet up toward and through the knee. In most cases, the pain is worse in the morning—especially right after stepping out of bed—since muscle tissue tends to tighten up overnight—with areas of extreme inflammation and tenderness. In fact, the shin bone might be painful on contact, and you might also feel actual bumps and lumps when the touching the painful area. In severe cases of the condition, this connective tissue can be under so much stress that it’s forced to split and separate from the shin bone, which is very painful and sometimes excruciating, involving a slow and long healing process. As I have already mentioned in the definition section, shin pain is not always a case of shin splints. In fact, there is a host of other ailments and injuries that plague the lower legs other than MTSS. Other common causes of lower leg pain include compartment syndrome, stress fractures or just general shin soreness. For example, pain and tenderness on the outside part of the lower leg might be blamed on compartment syndrome, which is a condition that occurs when excessive pressure builds up within a “closed compartment”, leading to swelling and pain. Another common injury that plagues the lower leg is what’s know as stress fractures—which are tiny cracks in the bones. This injury happens to have far more serious ramifications (and requires a longer recovery time) than shin splints. 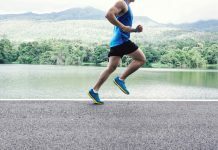 It’s hard to pinpoint the exact cause of shin splints, but, like most running injuries, the main root of most trouble can be traced back to one thing: Overuse. Weak lower body muscles, especially hips and calves. In fact, research has found a link between shin splints and weak hip abductor. Poor running form, e.i. overstriding, too much heel striking, etc. Downhill running. It’s believed that too much downhill running can put a lot of stress on the muscles of the front of the tibia. Running in the improper footwear can contribute to the onset of the condition. Running on hard, or unstable surfaces, like concrete, sidewalks or snow. Biomechanics issues, such as being flat-footed. Runners with lower bone density—especially female runners. When it comes to treating most running injuries, the RICE method should be your first line of defense. Although shin splints are not a serious injury, it’s vital that you treat it before it turns into a chronic, debilitating injury. Rest is key since shin splints occur as a result of repetitive stress being applied to the lower legs, so any more high impact activity will only exacerbate the condition. Therefore, you shouldn’t be doing any type of running (and any other high impact exercise) until it can be done pain-free. Instead, stop running altogether, or, at least, drastically reduce your weekly mileage as long as there is pain. Ice the affected area for 15 to 20 minutes three to four time per day to reduce pain and swelling. And keep icing it on a daily basis until the injured area is no longer inflamed or/and painful to touch. In cases of severe pain, you might consider taking Nonsteroidal anti-inflammatory drugs ( NSAIDs), like aspirin or ibuprofen, to soothe the pain and speed up recovery. Nonetheless, be careful not to overdo it. Research shows that these over-the-counter pills have side effects, like ulcers. Therefore, only take them for a short period of time, preferably under the guidance of a certified physician. The typical recovery time depends, mostly, on how severe you were injured. But as a general guideline, you can recover from a shin splint within two to four weeks, give or take. During the downtime, you might choose to opt for an alternative, low-impact exercises such as spinning, swimming, pool running, elliptical machine, weight lifting or yoga, to keep your fitness in check and prevent becoming a couch potato. If the pain does persists, and symptoms fail to improve (in spite of taking the right RICE measures) then you might seek immediate medical assessment to check for any other, more serious, causes for your stubborn shin pain. As a rule of thumb, you need to re-start your running engines slow. During the first few weeks of your running comeback, steer clear of any hard surfaces or steep hills until you are sure that the shin pain has gone away completely, and you have fully recovered. My motto when it comes to dealing with a running injury is “prevention is better than cure”. Hence, prevention should always be your first objective. You should be proactive about it and do everything you can do to lay the foundation for an injury-free running experience. Proper footwear is crucial for injury-free running. So please, never run in worn out shoes, and make sure always to opt for a pair that meets your specific needs. Look up a good running store in your area that has expert staff who will help you make the right shoe decision based on your running gait, arch support, cushion, and fit, which can help you cut the risks of (re)-injury. Furthermore, make sure to replace your shoes every 5 to 6 months—that’s roughly every 400 to 500 miles. To guard your lower legs against shin splints, you’ll have to start a comprehensive strength training regime that’s aimed to strengthen the muscles and the tendons in the lower legs and feet. Plus, you’ll also need to strengthen your hip muscles—especially the hip abductors—and the core. Adding strength and power to these areas will not only help ward off this injury but will also make you a stronger and healthier runner in general. Here are five of the best exercises you can do to prevent shin splints. Shin splints might be caused by pronation, which is the excessive inward rolling of the feet during a foot strike. In fact, research shows that runners who have the tendency to roll their foot excessively inward are more prone to all sorts of injury, especially shin splints. Therefore, and especially if you a bad history of the condition, you might consider getting a biomechanical analysis (conducted by a professional, typically using a motion capture video) to pin down and isolate the exact problems with your running biomechanics. For runners suffering from defective foot mechanics, such as being flat-footed, getting orthotics might help reduce the risks of re-injury. These custom fit inserts can help you realign the foot to a natural, neutral position, preventing a wide range of problems in the process. It’s widely believed that flexible muscles are crucial in the prevention of lower leg injuries. If your lower leg muscles and tendons are within the proper flexibility range, then they will move much more efficiently without being overextended. Of course, the research on whether stretching can help prevent injury is still inconclusive, but I still believe that is something you need to be doing. It might be of help. Who knows. Therefore, it’s key that you perform a wide range of stretching exercises for the hamstrings, calves, and the Achilles. Here are 3 of my favorite stretches. When it comes to increasing your running mileage/volume, you should always abide by the 10 percent rule. This simple and straightforward running rule states that you should never increase your mileage by more than 10 percent from one week to the next. This is a no-brainer, but it doesn’t make it less true. Therefore, do the bulk of your running on proper running surfaces, such as dirt paths, trail, grass and other soft surfaces. And if you love pounding the pavement in the city, then ease up on it, or at least, try to mix things up. The advice to use ice and anti-inflammatory medication is 100% incorrect. Ice does not and cannot remove swelling. The body does not work that way. Swelling is removed through the body’s passive lymphatic system. The way the swelling is moved through our passive lymphatic system is through muscle activation around the lymphatic vessels. Icing the surrounding nerves and muscle’s impairs the muscle’s ability to be activated and move the waste through our lymphatic system. Additionally, ice increases the permeabilty of the lymphatic vessels which can cause the swelling (waste) to backflow in the wrong direction towards the injury and INCREASE. There are three required phases to healing known as the Universally Accepted Healing Process which are Inflammation, Repair, and Remodeling. Proper healing is not possible without inflammation which is why you don’t want to use anti-inflammatory drugs. The “inventor” of R.I.C.E. famed sports medicine doctor Gabe Mirkin, has publicly retracted his recommendation to use ice to treat sports injuries because it was wrong. If the use of ice to reduce swelling required FDA approval it would not receive it because it does not work and there are no peer-reviewed studies that have shown it reduces swelling. All of the studies show that ices impairs and delays healing. Let me suggest you get the facts by reading the book, “Iced! The Illusionary Treatment Option” by Gary Reinl and then update and republish this article with the correct advice.